The Amazing Race Blog..because you're addicted. 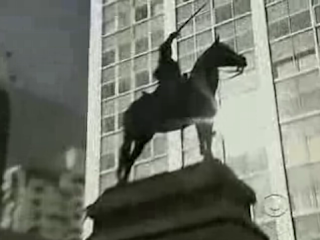 Welcome to The Amazing Race 13 Blog! Your source for Amazing Race updates, gossip, videos, pictures, live chat, rumors, spoilers and so much more! Stay tuned for Season 13 of The Amazing Race!! I've been so busy that I didn't even have the chance to tell ya'll that I had to give up blogging (Survivor and Amazing Race) this past year. With that being said, I think I will stick with Big Brother blogging (July-Sept) every year. If I ever get the urge to blog about Amazing Race, you can bet your bottom dollar that I will come back here! Hey everyone!! :-D Just a quick note to let ya'll know that I will be blogging again starting Monday November 10th (the day after Amazing Race is on). I'll do a catch-up quickie post and then a current post. I'm still a little too overwhlemed with the new house & my birthday is on Sunday, so I'll be back on Monday! You can watch clips of all the episodes. Also try YouTube.com and search for "Amazing Race 13"! The beginning of Episode 3 showed a bit of a tiff between Starr and Christy. Christy is blaming Starr for throwing (or bumping) Christy's sports bra off of a ledge. Starr didn't. Since Ken & Tina were 1st to arrive at the last pit stop, they were first to depart at 12:51am. 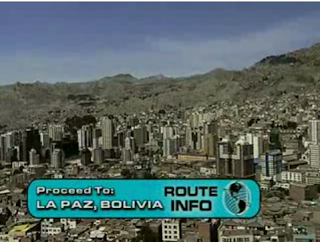 All teams have to fly to La Paz, Bolivia which is 12,000 feet above sea level and could leave them all breathless..literally. Then they have to go through the morning news paper and look for a classified ad for their next clue. Ken & Tina said that they have communication problems and they need to stop pushing each others' buttons. 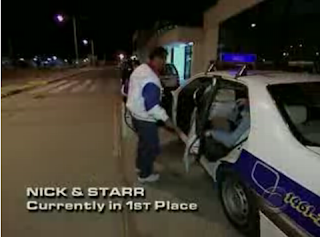 After the teams landed in La Paz, Nick & Starr were in 1st place. Mark & Bill were in 2nd. The teams arrived late at night and had to camp out in the public with blankets. In the morning, the ladies were putting on makeup and Nick went over to Christy and tried to make peace but the ladies told him they didn't care what people thought about them (like or dislike) and Christy said that she still thinks Starr pushed her sports bra off the edge of their hotel. They had to buy a traditional hat in order to get their next clue. Andrew & Dan were first to find the classified ad and go to the hat shop via taxi, except Mark & Bill and Terrence & Sarah..who decided to walk. Mark & Bill had a tough time walking/breathing because of the high altitude. 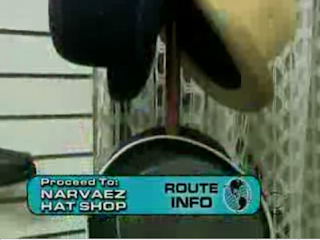 Andrew & Dan were 1st to arrive to the hat shop. and at the end of the detour is a U-Turn!! (First one this season.) A U-Turn can be used to slow down another team by making that team do BOTH options of the detour. All teams can only use the detour 1 time the entire race. The clue told all the teams that they had to make their way to one of the detour options BY FOOT ONLY, and some teams didn't read the whole clue and took taxi's! ..where 1 team member had to fight a girl! 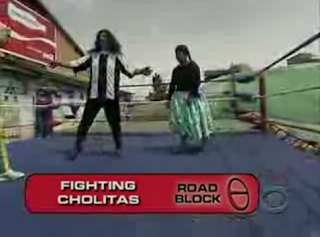 lol They will be taught 6 moves and when they feel that they have learned them all, they have to step inside a ring and fight a girl. The referee will tell them if all 6 moves were completed. Ken performed all 6 moves successfully, making Ken & Tina the 1st team to get their next clue which told them to go to the pit stop. Because Mark & Bill took a taxi during the detour, they got hit with a time delay. They arrived in 8th place and with a 30 minute delay penalty. Kelly & Christy came in 8th place and were basically saved by Mark & Bill's delay. Ughh!! This season better start switching gears because I can't stand Ken & Tina and now my favorite team was just eliminated. What are ya'lls thoughts on this weeks episode?? Leave'em below in a comment!